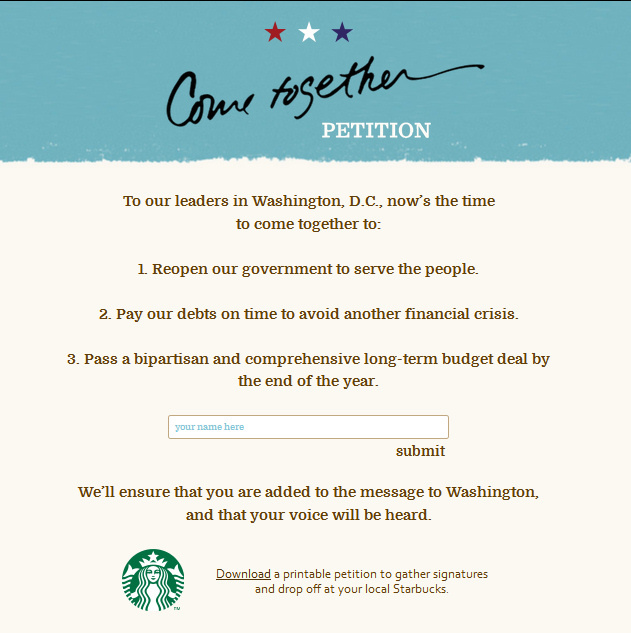 Starbucks has created an online petition to send to Washington, to re-open the US Government. If you could take the time to sign it, as a furloughed federal worker who has now missed 80 hours of work/pay due to the Government shutdown, I would really appreciate it. 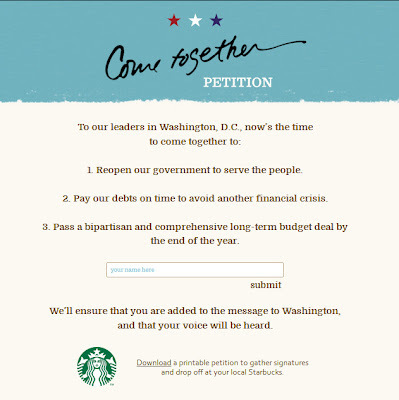 The link above also has a printable petition that you can sign & drop off at your local Starbucks! Thanks!